As a self-confessed "secular fundamentalist", I believe this is the time and juncture for me to stand up and say that Shashi Tharoor is spot on: the Bharat which the Hindutva forces are pledged to realize would be a mirror image of Muslim Pakistan, thus making of secular India a 'Hindu Pakistan'. As at present, the forces of Hindutva are constrained by our Constitution, which is not only a negation of the values and objectives which drive the Hindutva ideology, but also make it impossible to achieve any fundamental change until and unless these forces secure two-thirds of the seats in both the Lok Sabha and the Rajya Sabha and also the support of a majority of states of the Union of India to alter or replace the Constitution, and persuade the Supreme Court to retract their own obiter dictum in the Kesavananda Bharati case that the "basic structure" of the Constitution cannot be changed even by the legislature acting as a constituent assembly. Given that on its best day out, which was the elections of 2014, the Modi campaign garnered under a third of the national vote, the prospect of their rising to secure two-thirds of the Lok Sabha seats is, as of now, remote indeed. But we need to be on our guard to forestall any massive Modi victory because what Modi, the BJP and the Sangh Parivar are resolutely looking for, and have been looking for over close to a century, is a 'Hindu Raj' as conceived and passionately advocated by their two principal icons, Vinayak Damodar Savarkar and MS 'Guruji' Golwalkar. The demand for a 'Hindu Raj' was initially articulated by Savarkar and later elaborated by Golwalkar. They continue to be the fountainhead of the Sangh Parivar's ideology. As recalled by Modi as recently as May 28, 2018, even so moderate a Hindutvavadi as Atal Behari Vajpayee waxed eloquent when he said, "Savarkar means brilliance, Savarkar means sacrifice, Savarkar means logic, Savarkar means youth, Savarkar means an arrow, Savarkar means a Sword!" To this paean of of praise, Modi added, by tweet, "Veer Savarkar will always be remembered for his patriotic spirit". On the same occasion (Savarkar's birth anniversary) Modi sang this hosanna in 2014, just a few days after becoming PM, "We remember and salute his tireless efforts towards the regeneration of our motherland". And, pray, what did Savarkar's "tireless effort" at promoting our nation's "regeneration" comprise? It lay in proclaiming: "We are Indian because we are Hindus and vice versa...India must be a Hindu land, reserved for the Hindus"(Hindu Rashtra Darshan, a collection of Savarkar's Presidential Addresses to the Hindu Mahasabha. This was said at the Nagpur session in 1938). From his invention of the term "Hindutva", in an eponymous pamphlet first published in 1923, till his last will and testament in which he cried out, "If you wish, O Hindus, to prosper as a great and glorious Hindu Nation, that State must be established under the Hindu flag", Savarkar remained steadfast and consistent in his belief that only a person whose pitrabhu (Fatherland) and punyabhu (Holy Land), only he who "owns his Bharat Bhoomi...as the land of origin of his religion and cradle of his faith", can lay claim to belonging by right to this soil. "We Hindus," declared Savarkar, "are not only a Rashtra (Nation), a Jati (Race) but in consequence of being both, own a common Sanskriti (Civilization), expressed, preserved chiefly and originally through Sanskrit, the real mother tongue of our race". The Christians and Muslims, on the other hand "set their Holy Land above their Fatherland in their love and allegiance". In his 1938 address, he further clarified that "Hindutva is a new term for a new ideology, the ideology of 'Hindu Rashtra'". 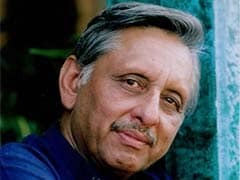 It is this highly divisive ideology of a 'Hindu Rashtra' that excludes from equal citizenship all the minorities who find spiritual sustenance from beyond our shores - Muslims and Christians, Jews and Zoroastrians - to which Tharoor drew attention when he warned that replacing the secular republic of our Constitution with a 'Hindu Rashtra, as the Modi dispensation wish to do, will create a 'Hindu Pakistan'. In doing so, he was only reflecting the profound apprehension of Dr. Babasaheb Ambedkar, the Father of our Constitution, who pithily remarked in his invaluable tract, Pakistan or the Partition of India, "If Hindu Raj does become a fact, it will, no doubt, be the greatest calamity for this country". Therefore, Babasaheb concluded, "Hindu Raj must be prevented at any cost" (Cited in Ziya-us-Salam, Of Saffron Flags and Skullcaps, Sage 2018, p.43, released last week). Tharoor says no more. Indeed, it was Savarkar, even before Jinnah, who propounded the "two-nation" theory that eventually brought about the vivisection of our once-united nation. The renowned historian, Bipan Chandra, in his monumental work, Communalism in Modern India (Revised Edition, published by Har-Anand in 2008) underlines that "both Jinnah and Savarkar asserted that Hindus and Muslims were two separate nations" (citing pages 21, 26, 64 and 101 of Savarkar's Hindu Rashtra Darshan, op.cit.) In Hindutva, Savarkar had held that all Muslims were enemies and the "enemies hated us as Hindus". He built on this perception in his very first Presidential Address to the Hindu Mahasabha where Savarkar had talked of "centuries of cultural, religious and national antagonism between the Hindus and the Muslims"; three years later, in 1940, Jinnah, following in the footsteps of Savarkar, declared, "India always divided into Hindu India and Muslim India". (cf. Economic Times, 27 May 2018). On 15 August 1943, exactly four years to the day before India's Tryst with Destiny, Savarkar said he agreed with Jinnah that Hindus and Muslims constituted two separate nations: "I have no quarrel with Mr. Jinnah's two-nation theory. We Hindus are a nation by ourselves and it is a historical fact that Hindus and Muslims are two nations". Bipan Chandra reminds us that Savarkar held that "Hindudom" (Savarkar's English rendering of his self-invented word, "Hindutva") "is bound and marked out as a people and a nation by themselves", that "in Hindusthan, the Hindus are a Nation". This is the man Modi called "a true patriot"! Bipan Chandra more accurately calls him "the high priest and theoretician of communalism" (p.193). No wonder then that when, on February 22, 2003, the Congress led the Opposition in boycotting the unveiling of Savarkar's portrait in Central Hall directly opposite the portrait of the Mahatma in whose murder the Justice Jivan Lal Kapoor Commission concluded: "All these facts taken together were destructive of any theory other than the conspiracy to murder of Savarkar and his group", the spokesman of the Congress parliamentary party, S Jaipal Reddy, explained to the media that the hanging of the portrait "gives credibility to the divisive policies of Savarkar". The Opposition had boycotted the unveiling owing to Savarkar's "petition for mercy to the British authorities, his advocacy of the two-nation theory and his alleged association with the assassins of Mahatma Gandhi which make it extremely inappropriate that his portrait be put up in the same hallowed precincts which celebrate the fundamental secular and democratic values of the freedom movement and nation-building". Has Shashi Tharoor deviated from that clearly expounded position in warning against the Sangh Parivar's intention of "tear(ing) up the Constitution of India" to "write a new one" that "will enshrine the principle of Hindu Rashtra, remove equality for minorities, (and thus) will create a Hindu Pakistan"? Let us now turn to the other Sangh Parivar icon, "Guruji" Golwalkar. In his book, Jyotipunj ("Beams of Light"), translated into English by Aakar Patel, Modi describes Golwalkar as a "gem" whose "life radiated like one who was a total and complete swayamsevak". The historian, Ramchandra Guha, has described Golwalkar alternatively as the "Guru of Hate". Modi says Golwalkar "inspired nationalism". What was this "nationalism"? I yield the floor to India's most notorious defector, M J Akbar, junior Minister of External Affairs in Modi's council of ministers. Before he became Your Excellency, Akbar was arguably the most eloquent exponent of secularism in the Indian media - at least I thought so. In his 1985 masterpiece, "India: The Siege Within" (published by UBSPD and revised and enlarged in 1996), Akbar admirably summarized Golwalkar's "nationalism", paraphrased in Golwalkar's own words: "minorities must live by the grace of the majority; only a Hindu could be a true Indian; those whose faith did not originate on this sub-continent are 'foreigners'. Muslims, Christians, Jews and Parsis would have to 'adopt the Hindu culture and language, must learn to respect and hold in reverence Hindu religion, must entertain no idea but the glorification of the Hindu race and culture...[they] may stay in the country, wholly subordinate to the Hindu nation, deserving no privileges, far less any preferential treatment - not even citizen's rights...In this country Hindus alone are the nation and the Muslims and others, if not actually anti-national, are at least out of the body of the nation" (pages 9-10). Thank you, Akbar. You may return to your place at the high table of one who regards Golwalkar a "gem" who "inspires nationalism". Tharoor will now take over from you. Akbar quotes from Golwalkar's 1939 publication, "We, or the Nation Defined". The RSS, deeply embarrassed by the work, have now distanced themselves from it. So, let's move to Golwalkar's "nationalism" immediately after we won our freedom. On December 8, 1947, Golwalkar, says Bal in the Caravan article cited above, said of Muslims remaining in India, "No power on earth could keep them in India. They shall have to quit the country". Hey, Akbar, watch out: you're on notice! Bal goes on to share with his readers, Golwalkar's ranting well after we had established our Independence, Constitution and Democracy: "What is the attitude of those people who have been converted to Islam or Christianity? They are born in this land, no doubt. But are they loyal to their salt? Are they grateful to this land which has brought them up? Do they feel they are children of this land and its tradition, and to serve it is their great good fortune? Do they feel it is their duty to serve her? NO! Together with the change in their faith, gone is the spirit of love and devotion for the nation." Golwalkar went on to claim: "in practically every place, there are Muslims who are constantly in touch with Pakistan over transmitters enjoying not only the rights of average citizens but also some extra privileges and extra favours because they are minorities...within the country, there are so many Muslim pockets, that is so many 'miniature Pakistans'. " Is it such paranoia that "inspires nationalism" in Modi's bosom? Or does he share Golwalkar's view as written in black and white in the Sangh Parivar's mouthpiece "Panchajanya" (1960): "Muslims and Christians must follow the national religion and the religion of their ancestors, call themselves Hindu and behave accordingly...they have to be compelled to fall in line and taught a lesson...It is time now for them to accept the faith of their ancestors...Muslims and Christians, whose ancestors were Hindus, must abandon their newly acquired faiths and return to the Hindu fold". This is what the Modi cohort call "ghar wapasi". And what Tharoor describes as "The BJP/RSS idea of a Hindu Rashtra is the mirror image of Pakistan - a state with a dominant majority religion that's seeks to put its minorities in a subordinate place. That would be Hindu Pakistan."